We want to hear from you for this week’s #TweetTheGeeks Question of the Week! In just a few hours Nintendo unleashes Smash Bros. on the masses! But are you buying it? 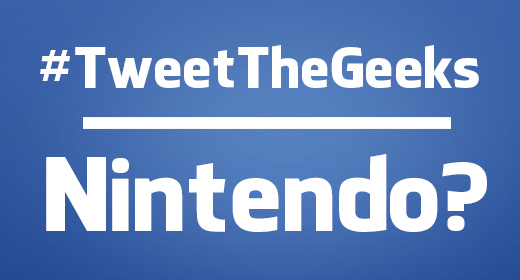 This week’s #TweetTheGeeks Question of the Week is this: Are you planning on buying any Nintendo products the rest of the year? We will feature your answers of this week’s episode! Leave your answers here, on Twitter, or Facebook. @JustUsGeeks Both Smash Bros, Hyrule Warriors, Bayonetta 2, and Captain Toad.